Chances are if you shop a lot, you end with a lot of bags. But did you ever stop to wonder what these bags are doing to the environment? Americans use hundreds of billions (yes billions) of plastic and paper bags each year. We pick them up every time we turn around. Often we don't even need the bags we take. And the price our environment pays for this? We're using 12 million barrels of oil for plastic bag production each year! That's crazy! Lately, it seems many of our stores have been promoting and giving away free reusable bags to try and solve this problem. However some of these bags are of poor quality (they rip) or are bulky and therefore impractical. For me, if I can't throw them in my purse or coupon bag (yep, I have a bag just for coupons!) they end up getting left in the car most of the time. Fortunately Neela Bags has a solution for this! Enter the Denali Pack! These machine washable nylon totes are strong enough to carry your stuff and keep you looking good while doing it! 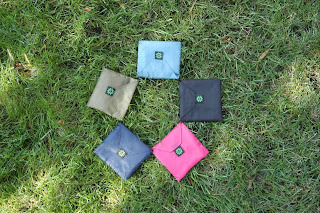 They come in a range of colors and all fit in their own individual pouches. The Denali pack includes five Neela totes and a bag to carry them all in! Neela bags has offered to giveaway FIVE of their super stylish Denali Packs to five Frugal and Fabulous readers!!! *Visit the Neela Bags Web Site and tell me what your favorite product is! I have been looking at different types of reusable bags. These are perfect! My fav is the market tote bag in charcoal damask! So cute! Erin McClanahan @ emcclana@gmail.com Thanks! I love the fold up market tote. Thanks! I love the charcoal diamond weave insulated tote! Perfect for keeping things cold till we get home! I like the insulated tote. I would love to win the fold up market tote in raspberry! i heart neela bags! i wish they didn't discontinue the wine totes! I love the kelly green market pack... how cool is that?? I joined the group on Facebook! I like the fold-up market tote in the kelly green cirlces... these bags are really cool. Nice! I want in on this! I'm with Laurie, I really like the insulated totes. I have a cheapie freezer bag I keep in my car, but this would be much nicer! I'm following Neela Bags on twitter! I have you button on my Blog Link Love Page! These are great! You're right about the store bags ripping - and quickly! I like the market pack in the avian coral. My favorite of the Denali pack is the ocean blue. I love the insulated tote in Kelly Green Circles! I thought the insulated tote in kelly green circles was just marvy! I am a subscriber....enjoy your blog lots! I also love the circle kelly green insulated tote! I like the standard market tote in ocean damask. awanawr@gmail.com I'm a fan on facebook. Hi! I like the foldable market tote in the coral color. So cute! First time looking at your sight - what a concept! I'm traveling to Europe this summer and the Denali Pack would be perfect for my trip. I love the Denali bags and how they fold up so compactly! I love using reusable bags but they can be bulky and awkward. Love the Neela Bags Insulated Tote - circles kelly green. It would be so handy, thanks! I like the black and white Standard Market Tote. I love the market tote in giraffe! I like the fold-up market tote in circles kelly green. Thanks! I like the Market Pack in charcoal diamond weave. What I like: standard market tote - love the variety in colors and the handles look really strong and durable. I would love to use one of these bags..I would be happy with any one of these/any color.. I really want one of their standard market totes in raspberry! I think the market tote in ocean damask is really pretty. I love the Market Tote (in all colors!). I also think the fold up totes are so practical, I'd love 'em! 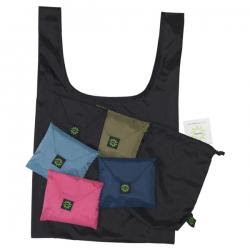 Love the market tote or insulated tote! Thanks for the great giveaway! My email is in my profile and on my blog. Thanks!! I could not find an option to become a fan on Facebook, but I did locate the company and joined the group. I really like the fold-up market tote in Raspberry...these are smart ideas for bags. we need to stop using plastic bags! I love the way those fold up! The Market Fold-up bag is very nice too, and great for those times when you still want the fold up option but with a bigger more formed bag. Love the Market Tote in Giraffe! I love the Fold-Up Market Tote in Giraffe Pink Trim! Thanks! I am a subscriber, love your blog! They are all so cute! I like the insulated tote the best I think. I'm already a subscriber and have a button on my blog. Thanks!! I love the Fold Up Market Tote in Giraffe! I love their Insulated totes - perfect for when I need to bring home ice cream and other frozen delights for my crew. If I win I hope I get a pink pack. I like the standard market tote in raspberry. I like the insulated tote in Kelly Green. I joined the group "Neela Products" on FB. I liked the Denali Packs. The pink ones. My favorite product is the Market Pack in the giraffe print. i like the market pack - and what great patterns! Me Me Me!!! This is a great idea! I like the idea of an insulated reuseable tote so my ice cream and tv dinners stay cold until I get them home. I like the fold up totes. They have so much cool designs. My favorite is the denali pack but I also really like the insulated tote.